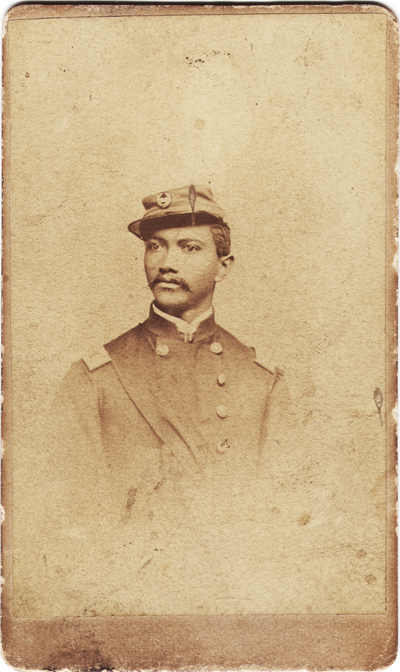 Alexander T. Augusta is among 13 known African Americans that served as surgeons during the American Civil War and one of only two that were commissioned officers in the U.S. Army. Augusta was free born in Norfolk, Virginia in 1825 and became interested in a medical education and career as a physician. His desire and determination to become a physician was not deterred by the prevailing prejudice and discrimination in the United States that created obstacles for blacks pursuing careers as professionals. 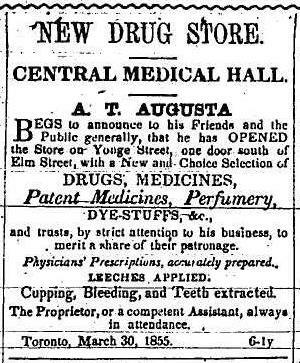 Augusta was forced to leave his native country and immigrate to Canada to obtain a medical degree which he received from Trinity Medical College, Toronto in 1856. He established a medical practice and was the proprietor of a drug store in Toronto before applying for a position as surgeon with the United States Colored Troops (U.S.C.T.) through a letter of application to President Abraham Lincoln and Secretary of War Edwin Stanton in January 1863. 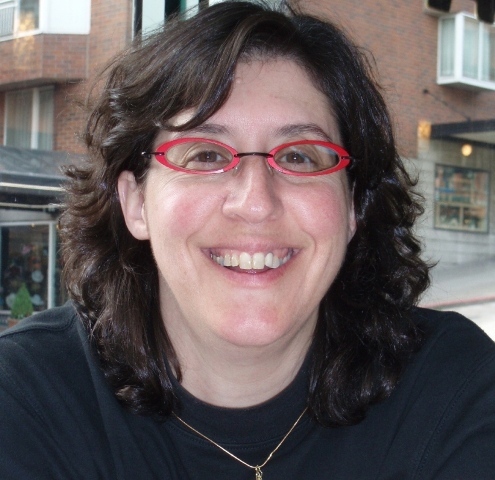 Augusta’s application was accepted and after successfully passing the Army Medical Board’s rigorous three-day examination, Augusta was appointed surgeon with the U.S. Army and given the rank of Major. He was assigned duty at the Contraband Hospital in Washington, D.C. in May 1863, before mustering in with the 7th Regiment of the U.S.C.T. at Camp Stanton in Benedict, Maryland in October as its regimental surgeon and the ranking medical officer among four U.S.C.T. regiments there. Surgeons serving during the war, including Augusta, owned a copy of the Handbook for the Military Surgeon, a compendium of all aspects of the duties of a medical officer including hospital administration, sanitary management, food preparation, and war surgery. Augusta’s personal copy of this important military publication is a treasure among the Civil War collections in the History of Medicine Division of the National Library of Medicine. Uncovered recently during the ongoing digitization project of library materials, Augusta’s copy of the Handbook was identified among four books from his personal collection donated to the Surgeon General’s Library by Augusta’s wife, Mary O. Augusta, after her husband’s death in 1890. Hidden within one of these books was a rare page from Augusta’s prescription pad used in his private medical practice while living and working in Washington, D.C. It was likely slipped into the book by Augusta after he drew an illustration of a pelvis, perhaps as part of a teaching moment with a student or to provide a description of anatomy to a patient. The significance of these personal possessions of Alexander T. Augusta is made more noteworthy not only by the fact that Augusta was one of only a handful of African Americans that served as surgeons during the Civil War, but by the rarity of identifying and locating personal possessions from these African American Civil War surgeons. For more information on Alexander T. Augusta and African American Surgeons in the Civil War, please visit the Binding Wounds, Pushing Boundaries: African Americans in Civil War Medicine exhibition web site.